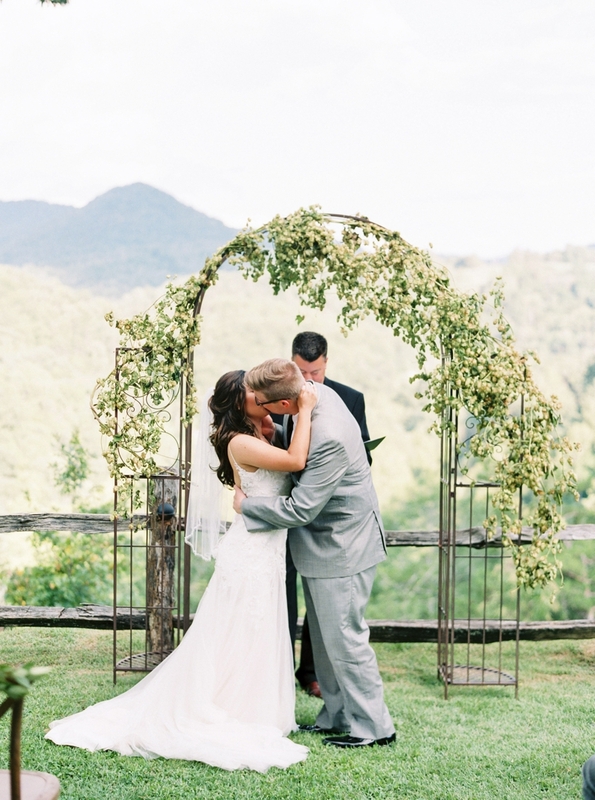 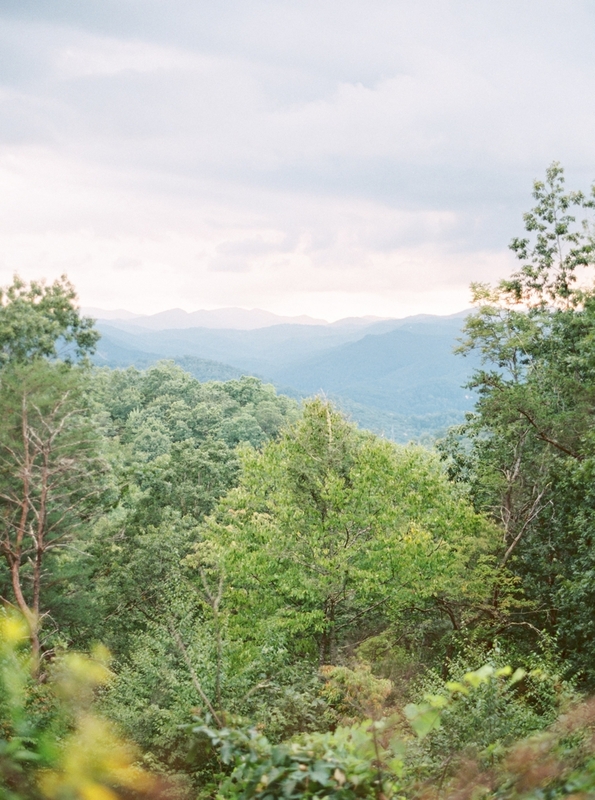 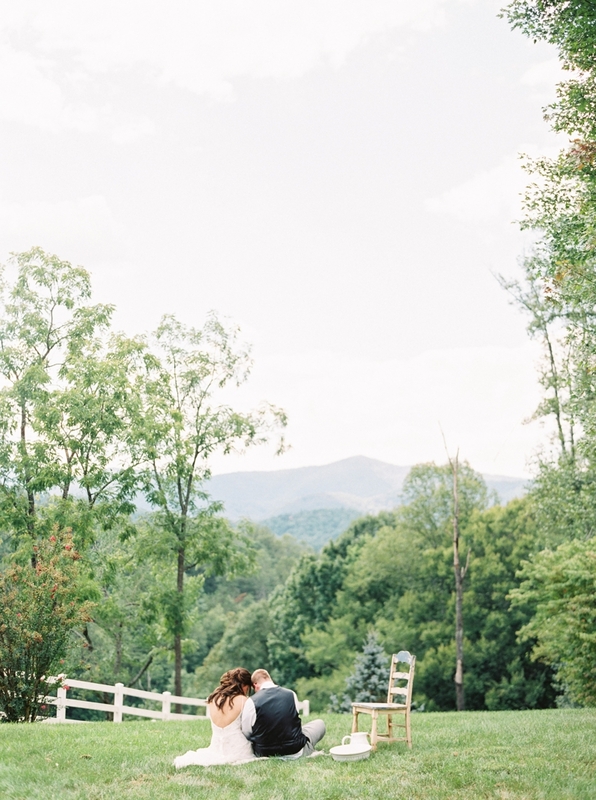 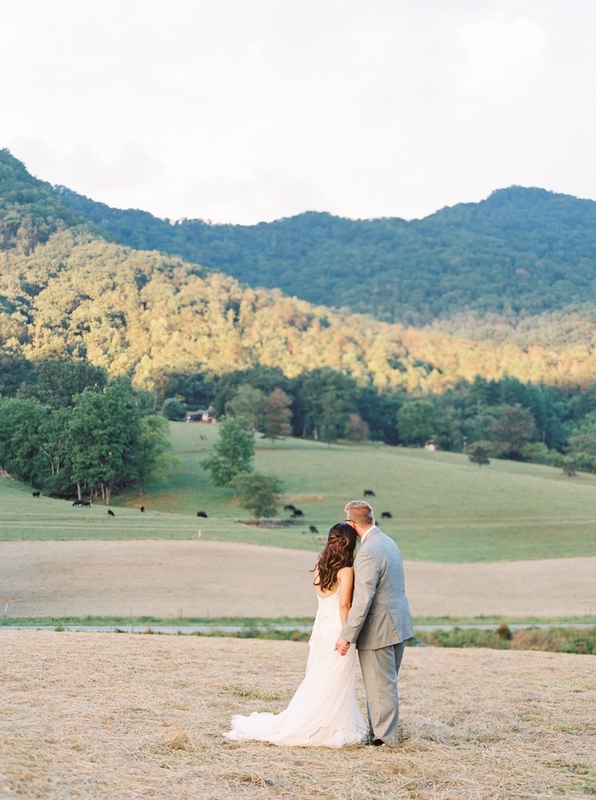 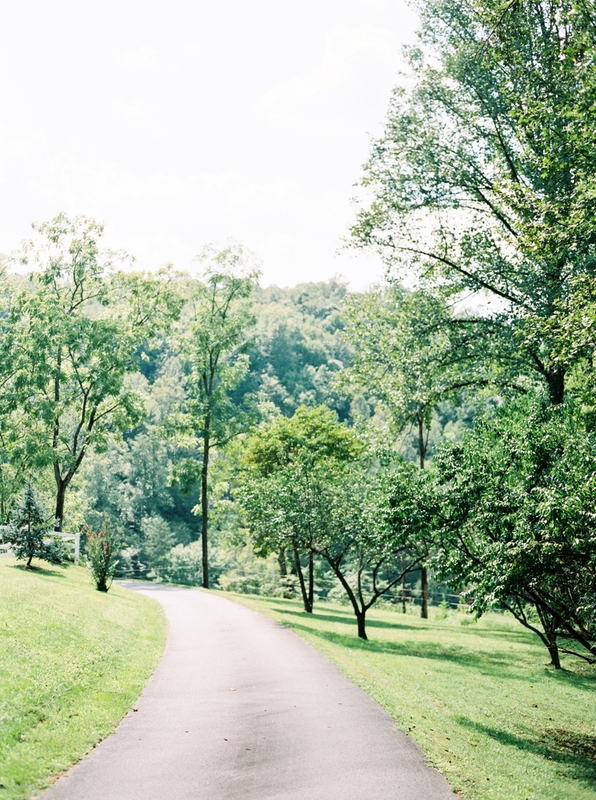 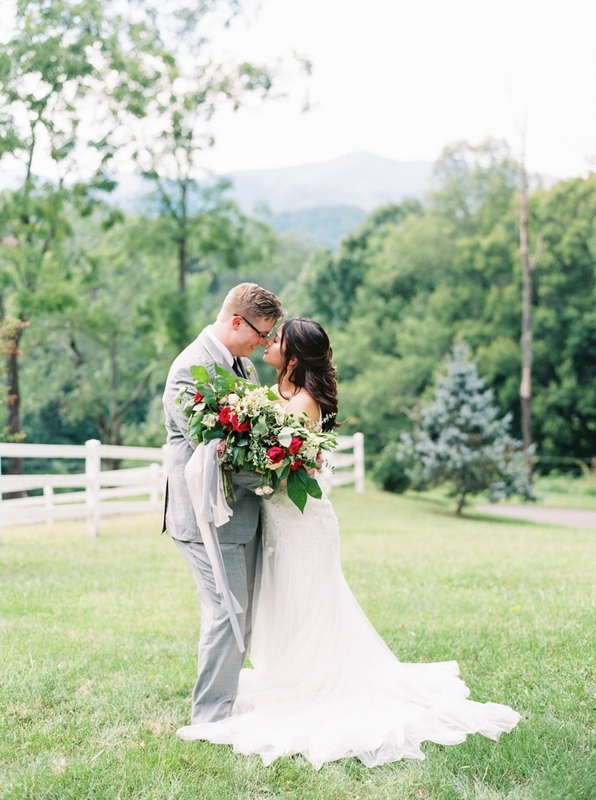 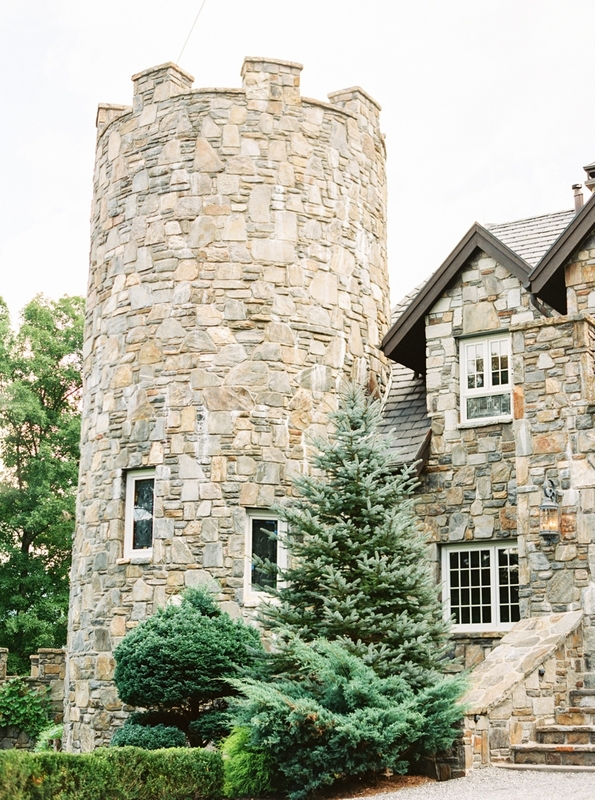 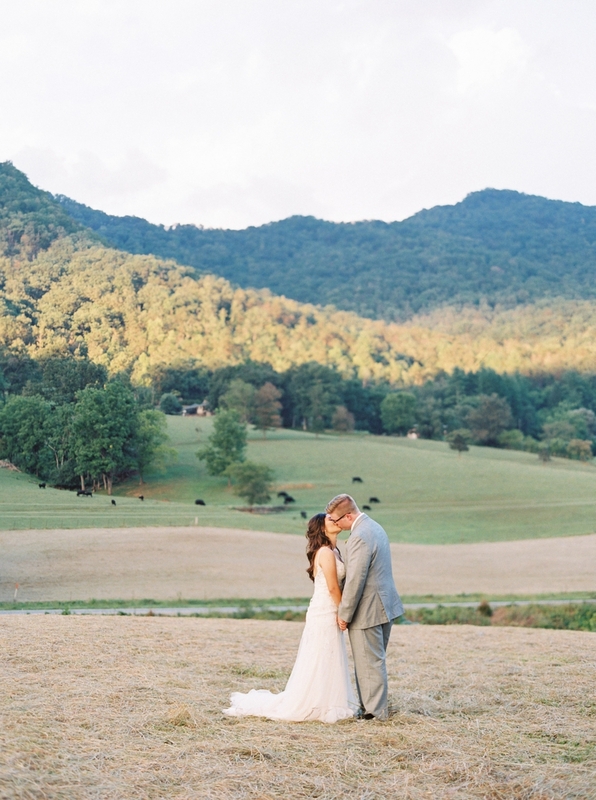 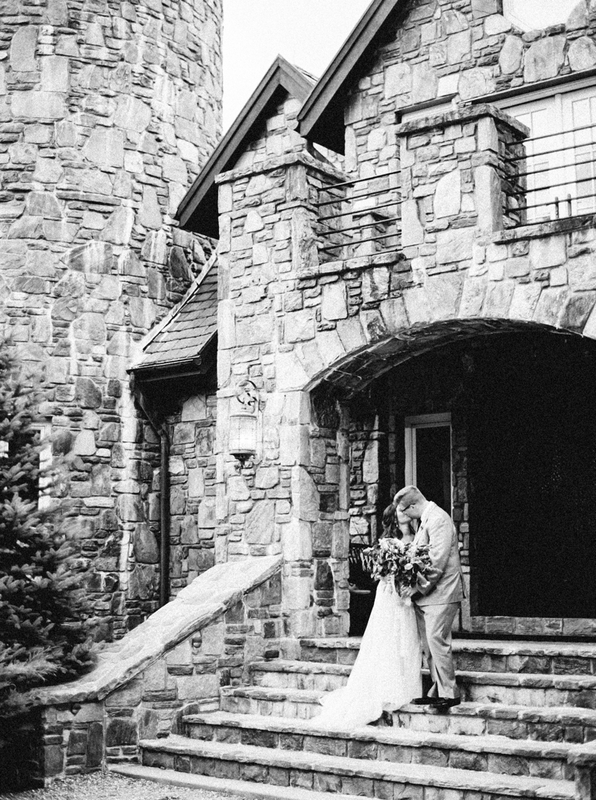 Hillary and Matt hosted their mountainside destination wedding at the gorgeous Castle Ladyhawke in Tuckasegee, NC (part of the Nantahala National Forest and about an hour southwest of Asheville, NC). 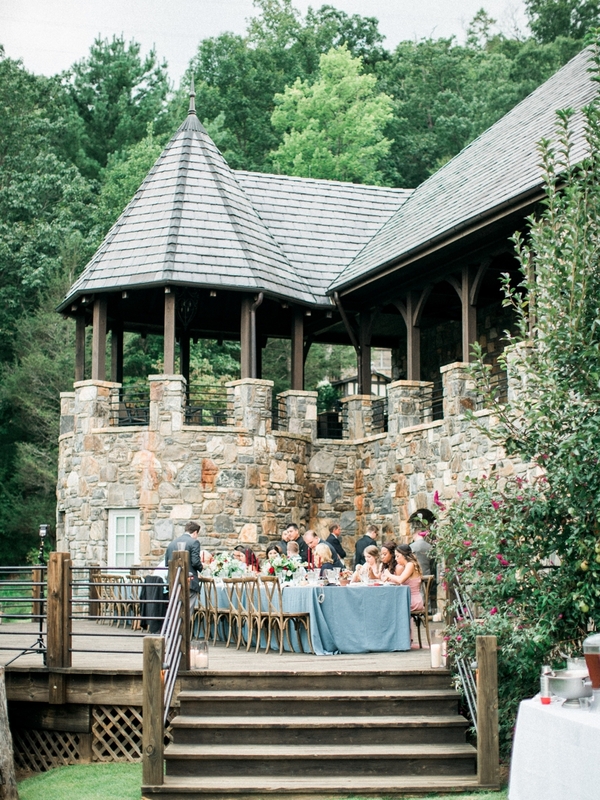 We love the Renaissance architecture of the venue- and the grounds are phenomenal! 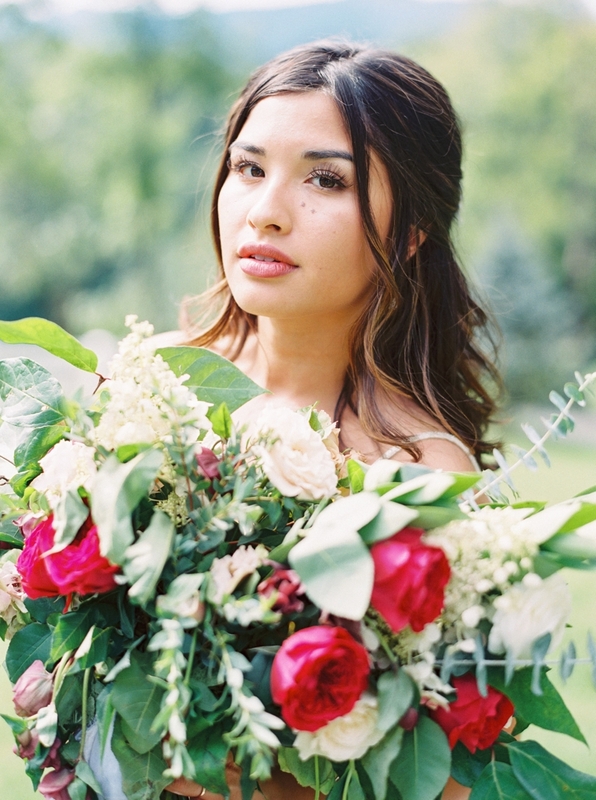 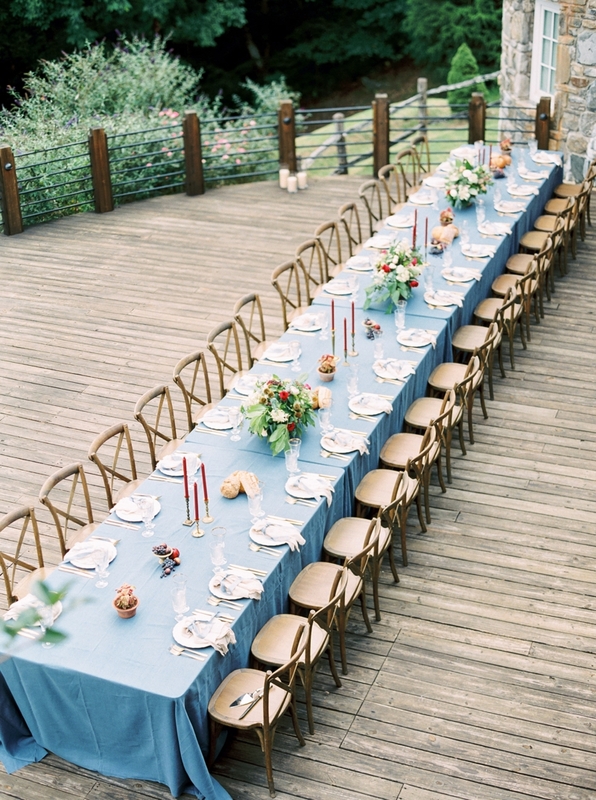 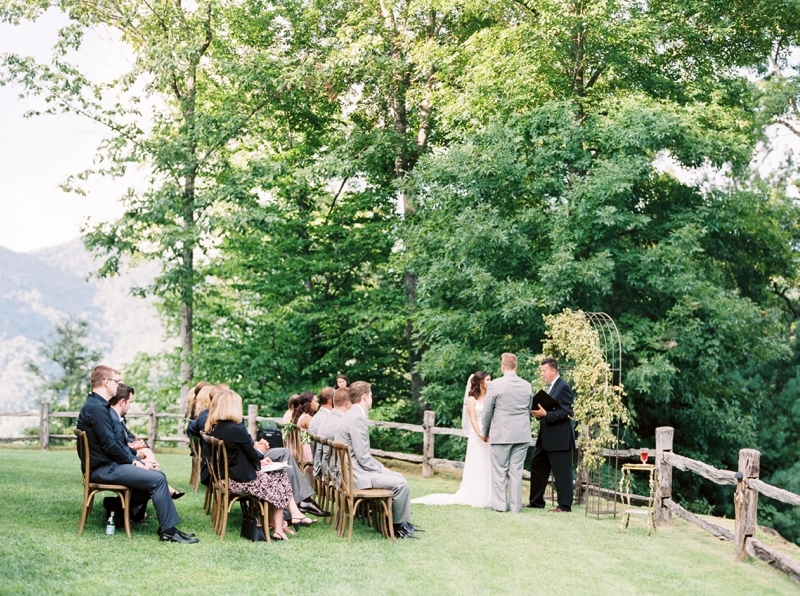 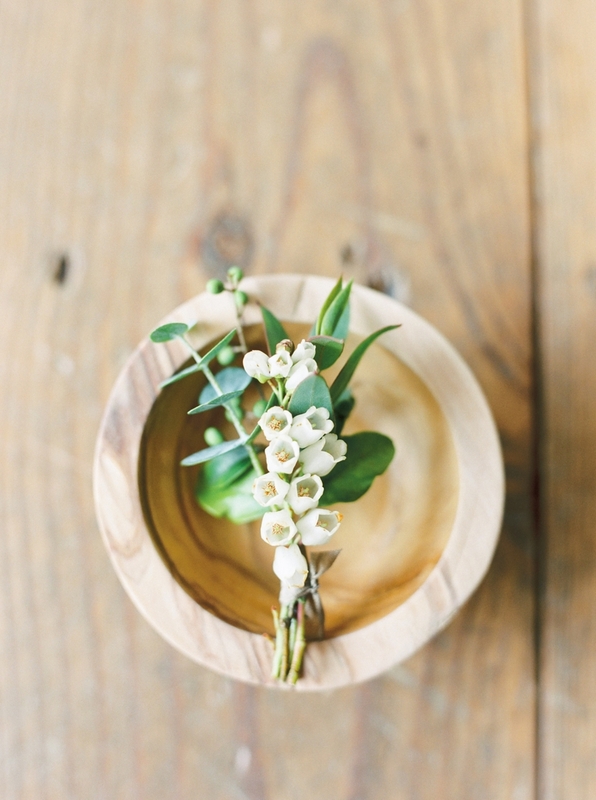 The couple's wedding was held outside, under a greenery arbor with views of the Forest. 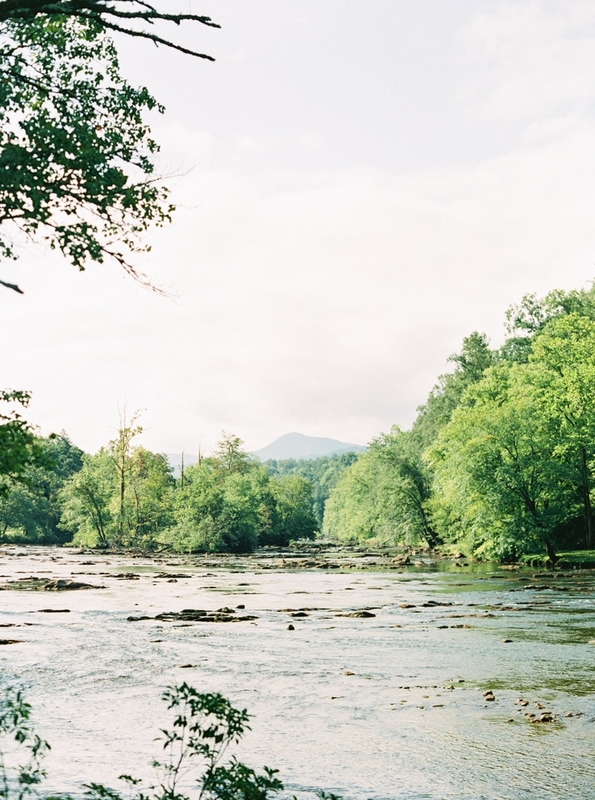 You could hear the slight trickle of the nearby stream and the breeze heavenly. 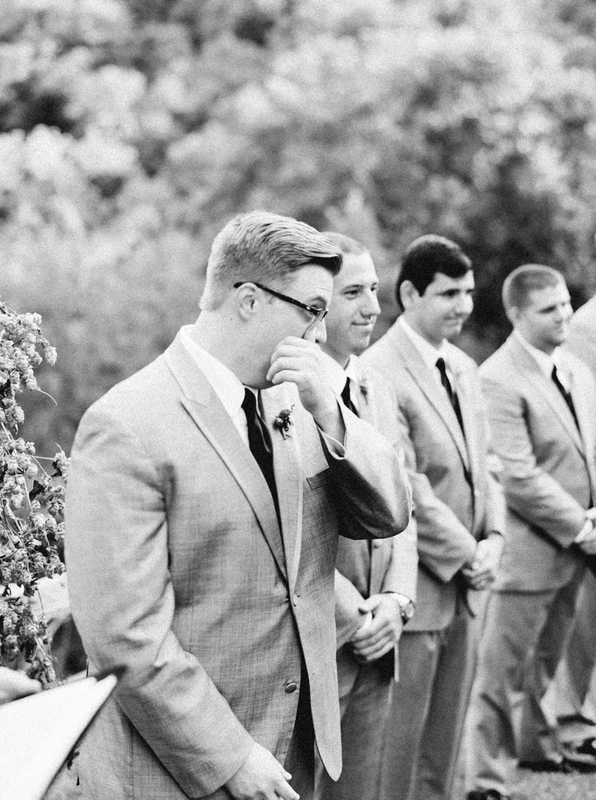 Just before their ceremony though - they took a moment alone together for a private Christian "foot washing" ceremony - as their first act of service to one another as husband and wife. 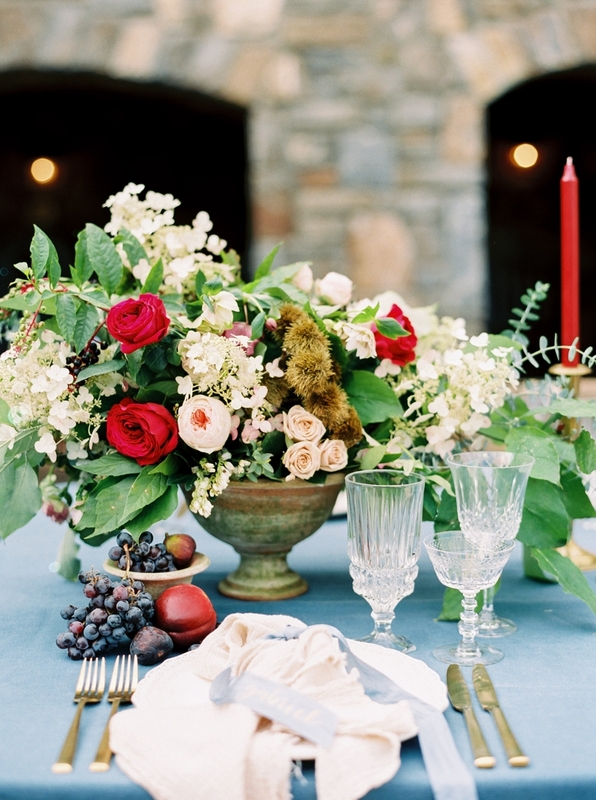 For the reception, the couple & their guests dined at a family- style table beneath the sky, with copious candlelight and lush, full blooms in white, burgundy and blush/peach. 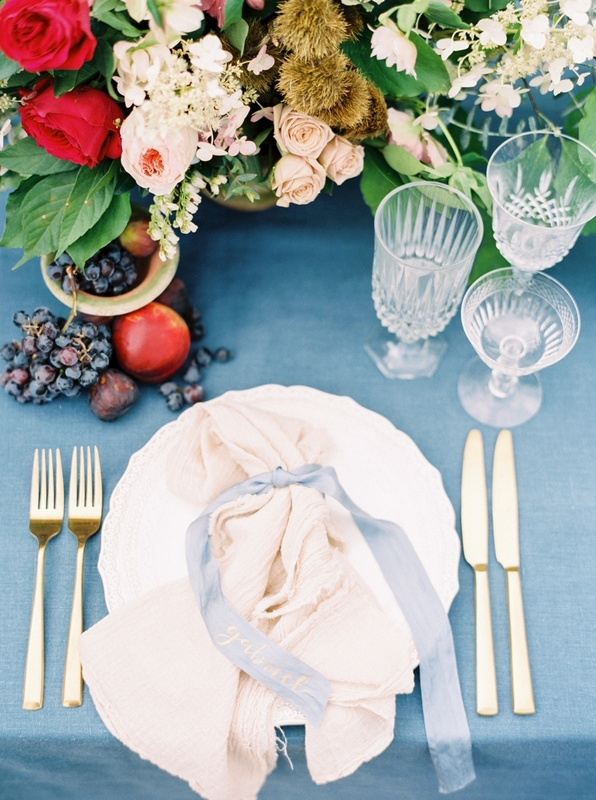 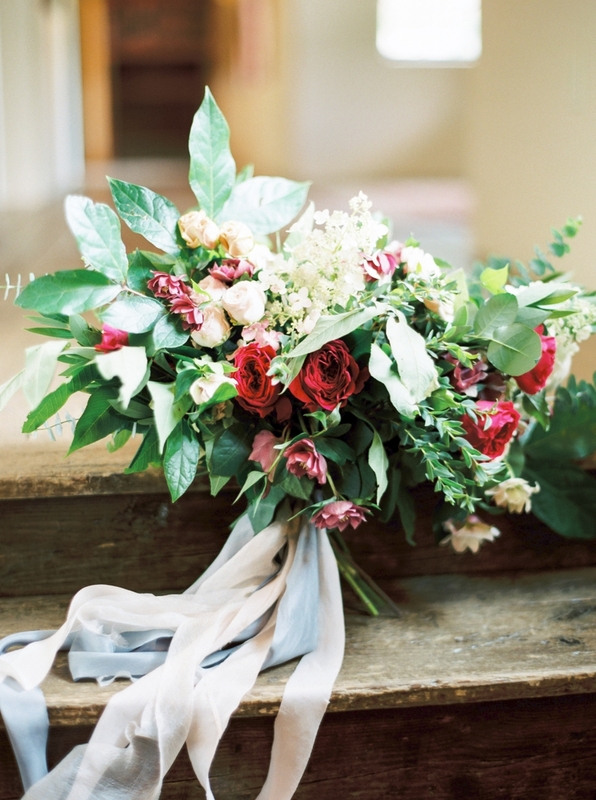 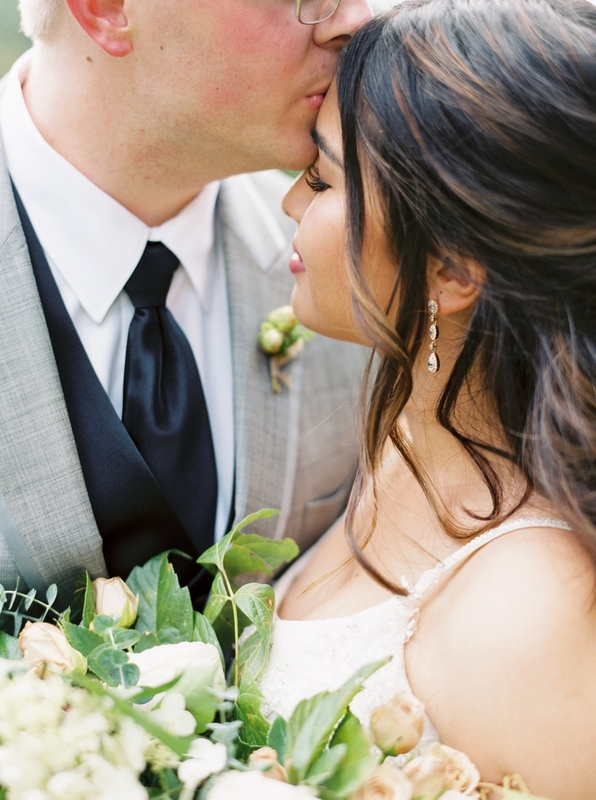 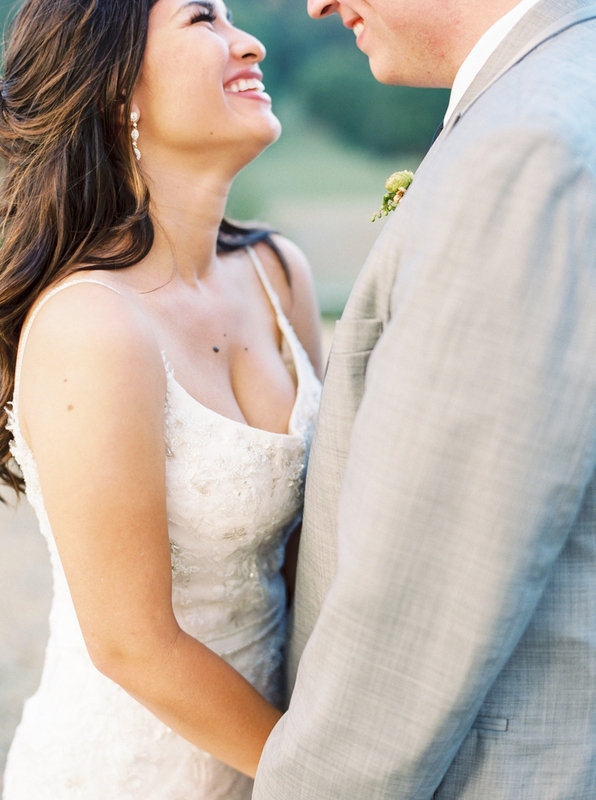 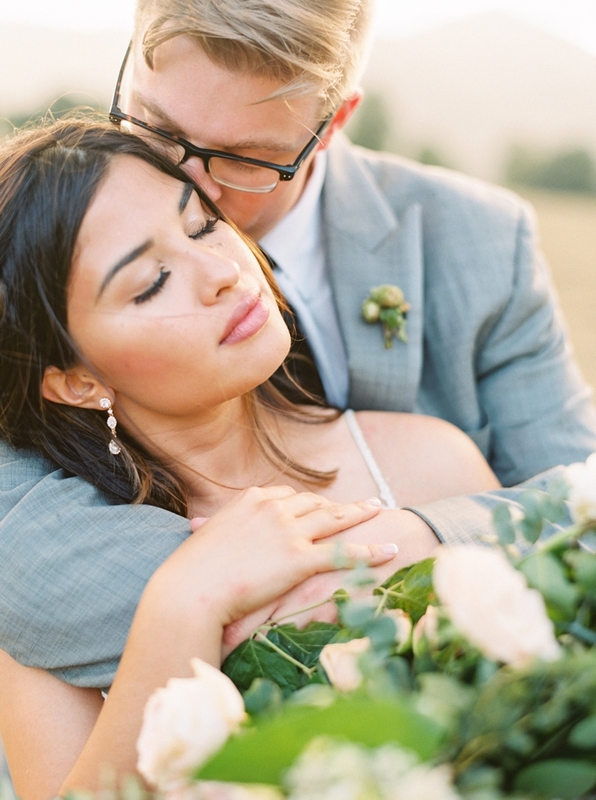 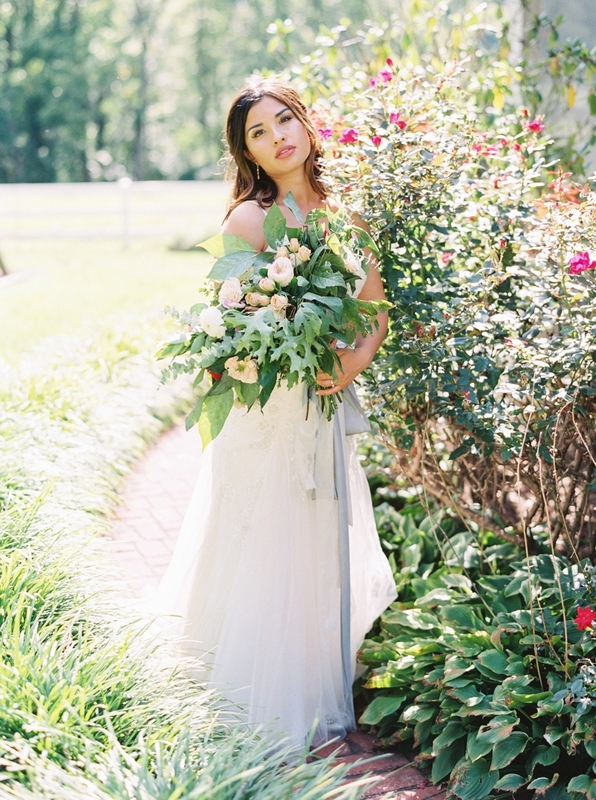 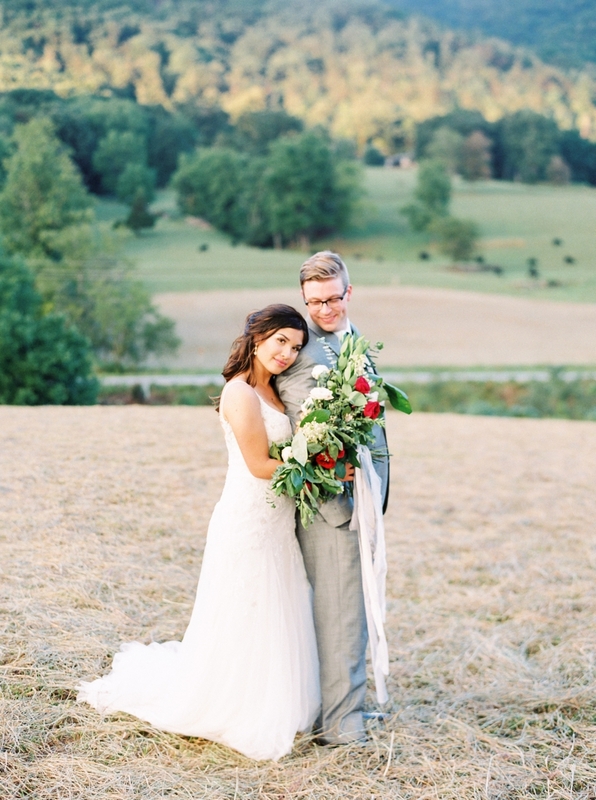 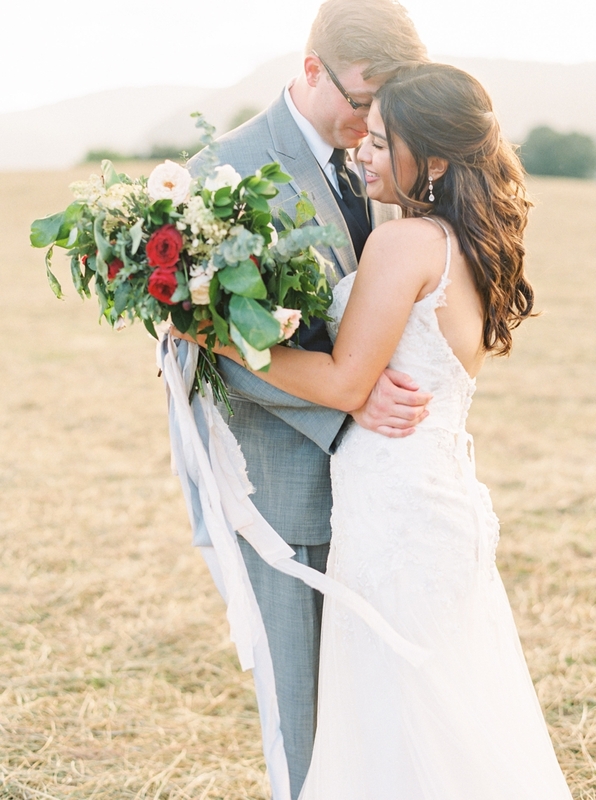 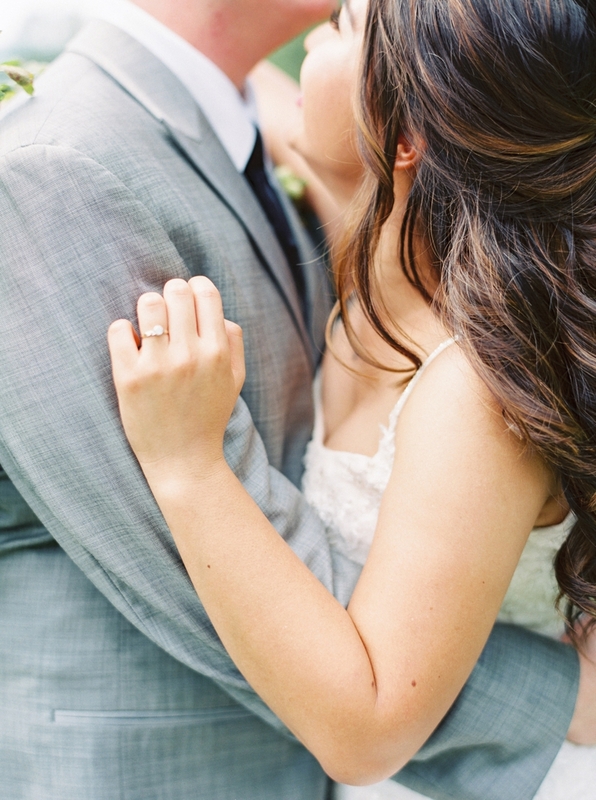 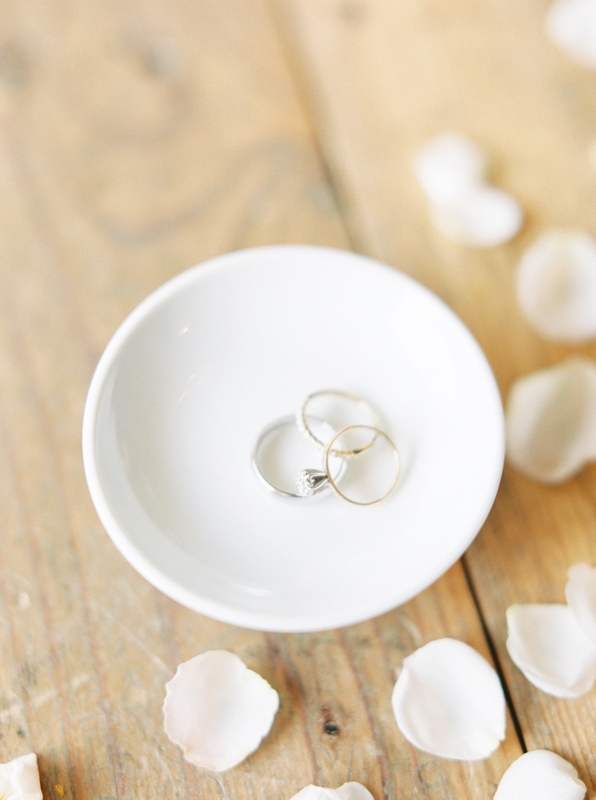 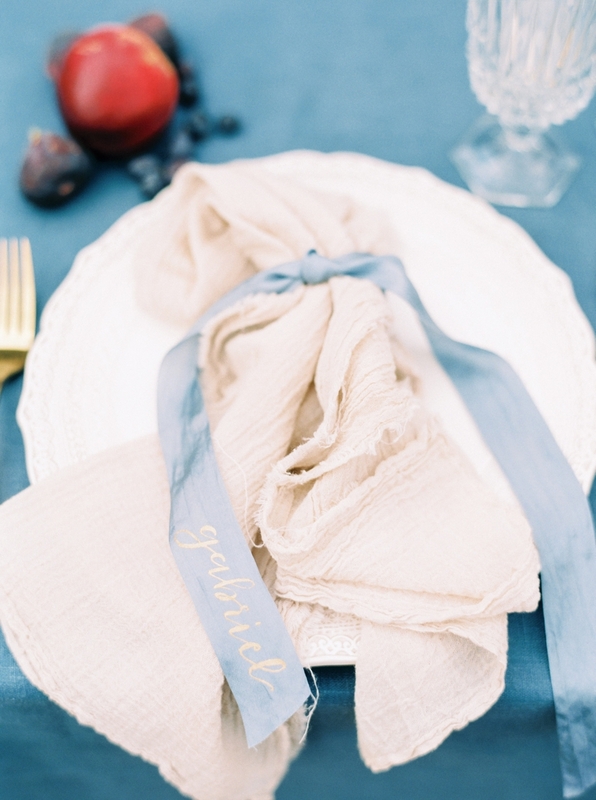 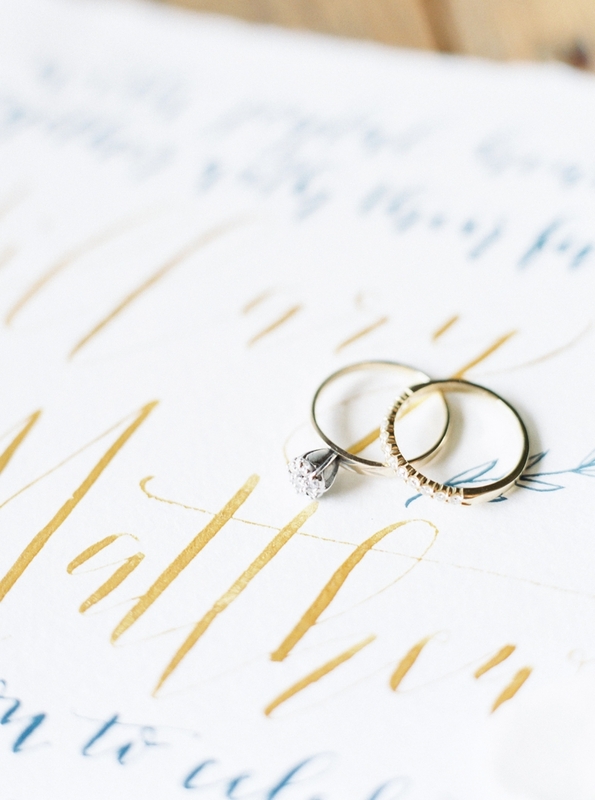 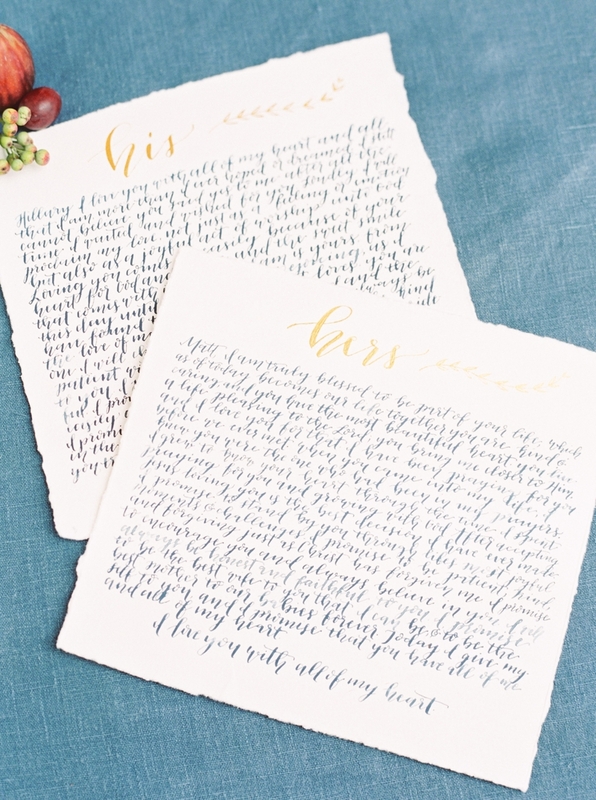 To see more from their beautiful day visit their Style Me Pretty feature here.